Working with our partners, family and community is key to achieving outcomes for young people. We are now looking for your input into the development of key actions and KPIs to include in delivery plans, to be supported across connected government agencies. We envisage that the Blueprint and associated delivery plans will involve strong governance through all levels of agencies involved. 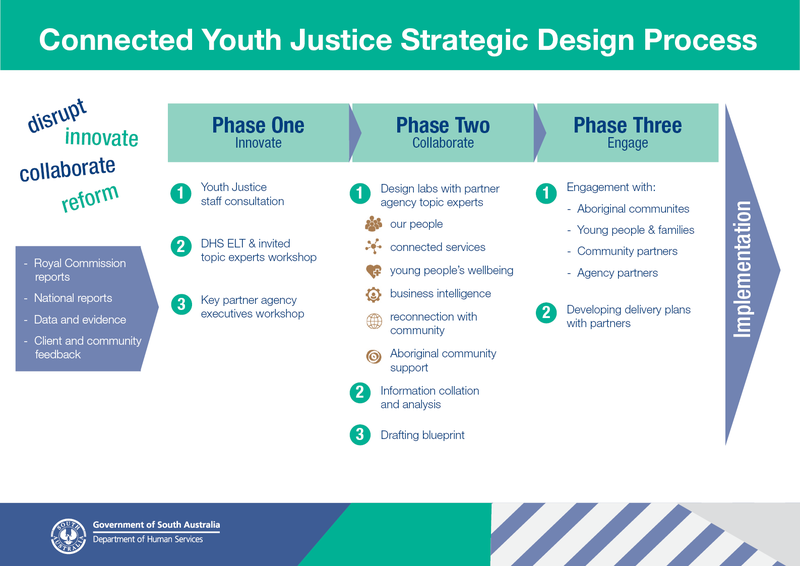 Youth Justice aims to build trust and increase understanding of South Australia’s youth justice system, as a leader in the provision of services aimed at reconnecting young people to community. We invite you be part of the discussion and provide ideas for the future delivery of a connected youth justice system.